One of my cousins is in her senior year of high school and it got me thinking of how much I wish she could travel and experience the world a bit more. I know I have already mentioned Camp A (short for Camp Adventure Youth Services) before; I cannot thank this program enough! I was once a kid who only wanted to travel the world, but Camp A taught me that I could teach AND travel at the same time. I will be forever thankful to them so this being the month of Thanks, I wanted to write a little more about them. If you are about to enter your sophomore year of college, you are so lucky because you are now eligible to attend Camp A training! Who knows, maybe you could even get accepted into the program if you had a lot of youth experience and started your training during your freshman year and you would be EXTRA lucky! There are sites hosting Camp A trainings all over the US, but here is a list of Oregon Camp A requirements. Basically it says you have to be enrolled in college (community college counts too! ), have a 2.5 GPA, 200 hours of experience with youth, and not have a criminal record. On this page they say you need to have completed a minimum of 30 credit hours by Spring Quarter (15 credits in Fall and Winter terms is doable, right?!) so if you are qualified you could even do Camp A after completing your freshman year. The hardest part for me was tracking down and documenting the hours for the “experience with youth” quota since at the time I was a business major. I remember using the week I was a counselor at Outdoor School in high school and other volunteer activities to meet the experience quota. The other hard part was getting the Lifeguard training. It turns out that I don’t know how to make my body sink to the bottom of a pool (without going headfirst) to pick up a brick. I am also not the best swimmer. After failing the Lifeguard training (the only course I ever failed in my life) they allowed me to get Community Water Safety training instead. I don’t know if that is still an option or not. Basically you don’t save any money, and if you manage to travel every weekend you can actually spend quite a bit, but if you take the opportunity to travel to another country and live there for a few months and just soak up the local culture, it could be practically free! If you are thinking about applying, check out this list of essential songs and games you will learn at Camp A training: 10 x 10 Essential Songs and Games (some these would also be great brain breaks for you teachers out there!). Also, the Oregon Camp A website has tons of other resources available. If you are interested in joining Camp A fill out this form and send it to UNI. If you are in Oregon you should also attend an interview session this month at UO or OSU this month for more info . Again, this program changed my life and I am so thankful that it is still around. I hope some young college student signs up for Camp A and can experience all the fun and (almost) free travel that I got to do! Note: This post is in no way endorsed by Camp Adventure. All views and opinions are my own. Please Comment! Have you ever participated in an amazing internship/program that changed your life? Have you attended a Camp A day camp? 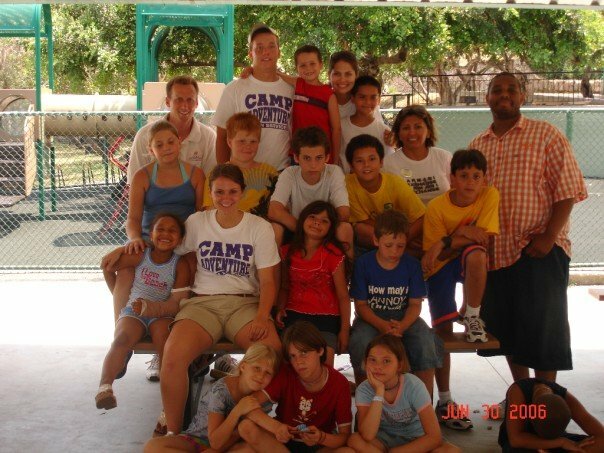 Have you ever been in Camp Adventure? I would love to hear about your experience!